America’s maritime industry provides steady, well-paying employment to thousands of people, but the work is not without risks. It doesn’t matter if they work in a port facility, onboard a vessel or on an offshore oil rig; there is always the chance of being involved in an accident. Of all the risks maritime workers must contend with, one of the most dangerous is exposure to harmful chemicals. Exposure to hazardous chemicals, whether by inhalation or direct contact, can result in serious, long-term health problems for maritime workers. In worse case scenarios, chemical exposure injuries can even lead to death. There are hundreds of different chemicals that are transported by water or used during the course of a maritime job. Not all of these chemicals are harmful, but many can cause serious illness or injury if improperly stored or handled. Most companies have safety measures in place and provide their workers with protective gear. Unfortunately, this might not be sufficient if workers don’t have the necessary training, safety equipment isn’t suitably maintained, and co-workers are negligent in following safety procedures. OSHA defines any chemical that presents a physical hazard or health hazard as a hazardous chemical. Physical hazards are chemicals that present a physical danger. These can be explosive, combustible and flammable liquids, aerosols, gases and solids; compressed gases; oxidizers; pyrophoric (compounds that ignite when exposed to the air); organic peroxides; and water-reactive substances (compounds that react when exposed to water). A health hazard is a chemical that can cause acute or chronic health effects to the body. These can consist of materials such as carcinogens, irritants, corrosives and other toxic substances. Equipment failure, intentional or illegal acts, bad weather, human errors, improper filling, loading or packaging, unauthorized/improper dumping, collisions, fires and explosions are just a few of the ways maritime workers may suffer dangerous chemical exposure injuries. Depending on the type of chemical exposure, some workers may make a speedy, full recovery while others will experience lasting health problems that may require long-term medical treatment. If you are a maritime worker who has been injured after exposure to dangerous chemicals while on the job, you may be entitled to full compensation for all the pain, suffering, medical expenses and other damages resulting from your exposure. Because of the severity and long-term complications caused by some types of chemical exposure, it is critical to seek the services of an experienced maritime attorney as soon as possible after your accident or after the injuries have been discovered. The Lambert Firm has represented injured maritime workers for more than 40 years. 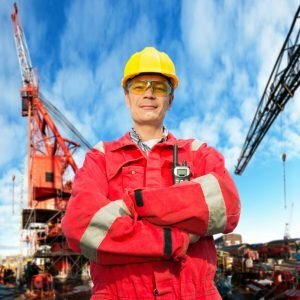 Our offshore injury lawyers are familiar with all aspects of the maritime industry and the many local, state, national and international laws that protect maritime workers injured on the job. We are dedicated to protecting the rights of injured workers and will use all the resources at our disposal to obtain the full amount of compensation our clients are entitled to. Headquartered in New Orleans, The Lambert Firm serves injured marine workers all along the Gulf coast and America’s inland waterways. Don’t wait until it’s too late to speak with an experienced maritime injury lawyer – call The Lambert Firm at 800-521-1750 or contact us online today.